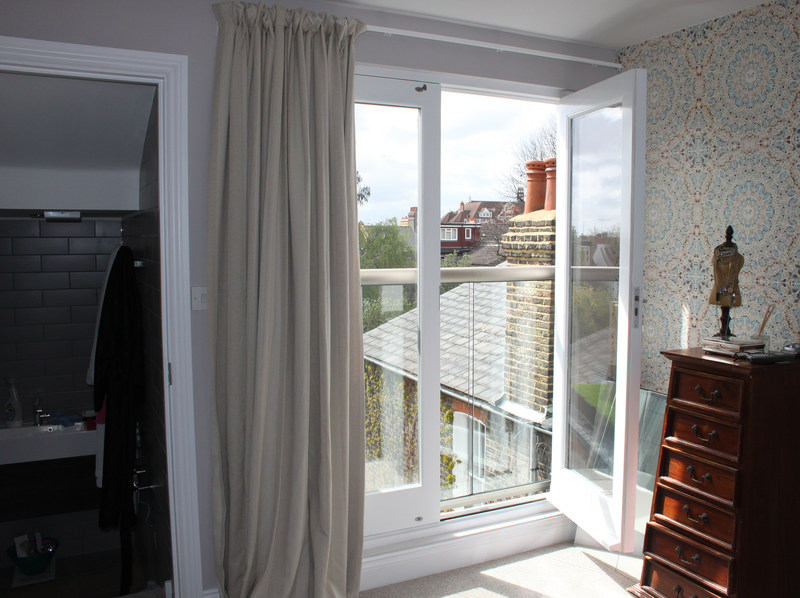 Touchstone Lofts are a Loft conversion specialist firm based in the North West London area. With our vast experience and expertise in building loft conversions, we can take care of the whole process from design, planning, securing building regulations and offer you a custom and affordable conversion complete with final craftsmanship created bespoke furniture if required. London, especially Central London has some of the most expensive property on the planet and space is at a premium. Converting this space and making sure the work is done to the highest standard means choosing the best loft conversion specialist. Our most recent works include converting a loft in East London to a home cinema, and a South London loft conversion into two extra bedrooms with an en-suite bathroom for the teens in the family. Our experience is wide and extremely varied even with low-ridge conversions. Not many websites talk about this. Ask your consultant to show you examples of the quality of the works they carry out. We are not shy about boasting about our quality. Touchstone lofts convert lofts throughout London, South-London, North-London, East-London and West-London including all home Counties, please submit an online enquiry form or ring us for a free no obligation feasibility study. Our vast experience in completing every type of loft possible will allow us to offer you the best Design, Quality and Customer service. We have completed every type of loft conversion, from the non-dormer roof-light conversion, to every type of dormer - flat roof, pitched roof and Mansard. 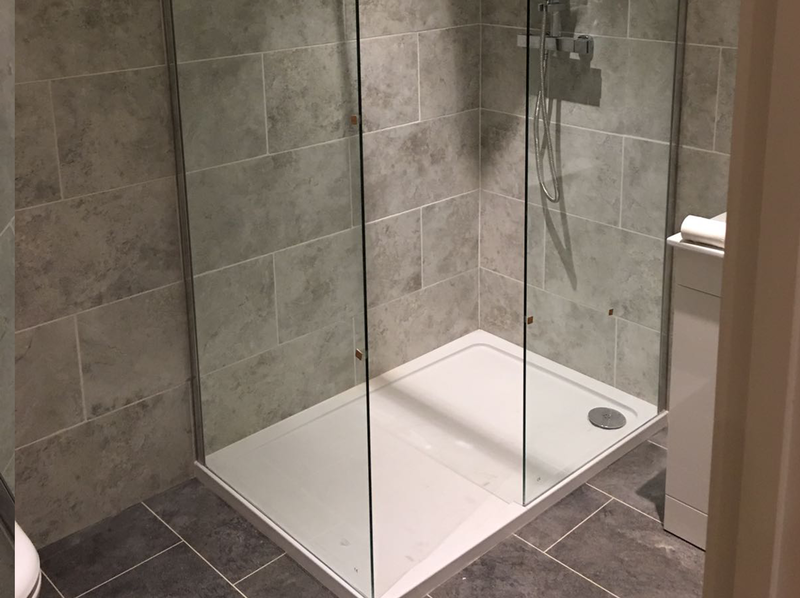 The En-suite can be a simple shower room or a designer wet room to your taste. We are national award winners for "Outstanding Quality Craftsmanship and Excellent Customer Service". We are backed by Government endorsed Trustmark scheme, we are Gas Registered plumber, we are Part of the Which? trusted trader scheme and Guild of Master Craftsman to mention a few. We fit big scaffolds to store our materials on and deliveries are via a crane which all means we keep out of your way for as long as possible. The stairs are fitted at the late stage so you don’t have to move out a daily disruption is reduced. Every project is bespoke designed and steel structures by our Structural engineer. 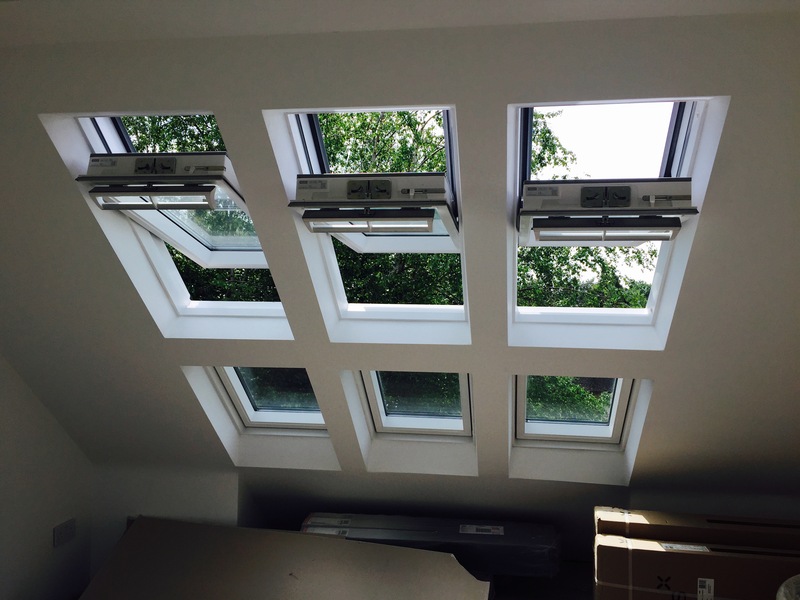 We are a Velux Accredited fitter so we can offer you the best design for all types of Velux windows. We can fit Juliette balcony , designer bathrooms and we are Gas registered so we can deal with all your boiler and all plumbing needs. Touchstone have been trading since 1986 and completed thousands of loft conversions. We are a market leader in the industry. We are a Which? Trusted Trader. Which are the consumer champion, and this is a stamp of approval form a very high place. We are also an award winning company being Highly Commended for the 2010 Federation Of Master Builders for the whole of the Southern region. We are members of the Guild of Master Craftsman. A typical Victorian terrace can be converted to two rooms and an en-suite. That is a three bed to a five bedroom house with two bathrooms for around £40,000 which is a no-brainer in London. Going from a two bedroom house in parts of London to a four bedroom can be a difference of £300,000. 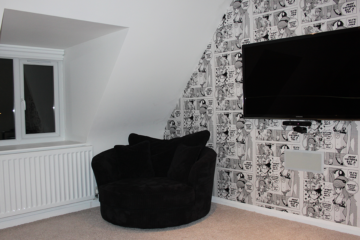 An attic conversion is the most cost effective way to add value to your home. The recent property market in London has shown unprecedented growth so a loft conversion has never been a better option. If you have a loft space, more often than not a loft conversion can be done. There are not many properties that cannot take a loft conversion. 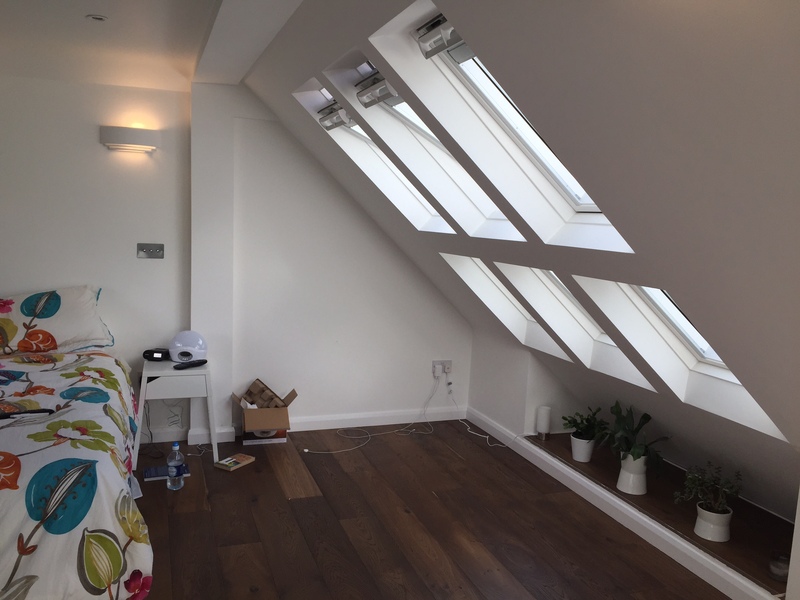 In North London we have converted lofts where the roof space has been very shallow and the ridge height is only 2m high. Figuring out where the stairs will be located is usually a challenge for those not familiar with loft conversions. 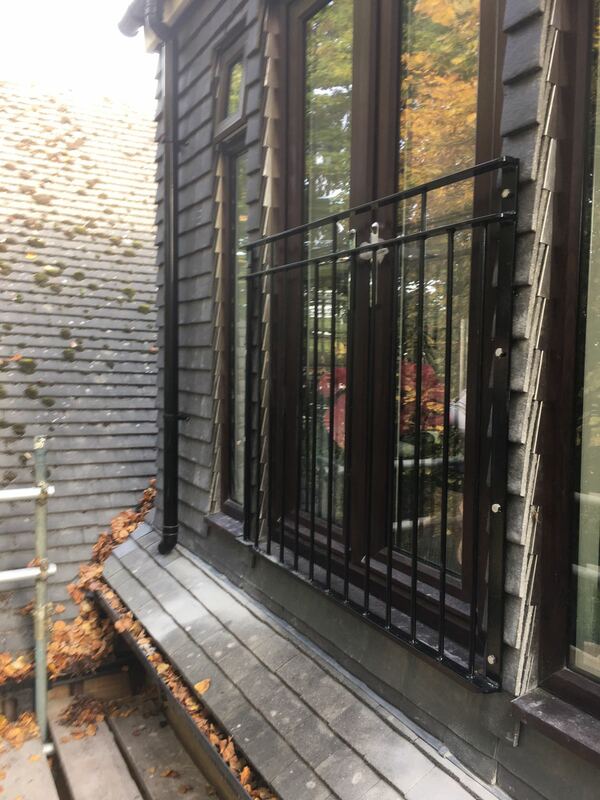 Our consultants are trained to design the stairs to try and limit the loss of any liveable space and to make the conversion look like the stairs are part of the existing design of the property. The conversion size is dependent on a few factors that include the footprint of the loft-space and the head height in the loft. 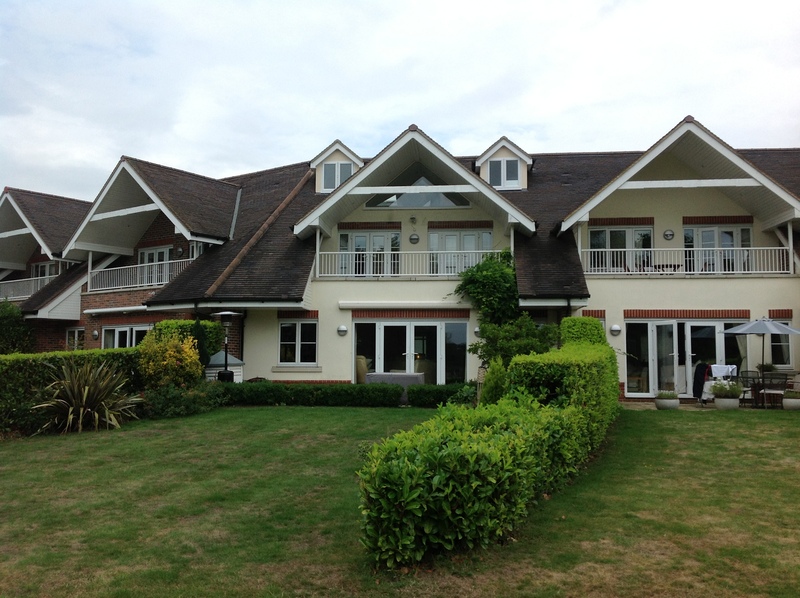 Space can be added be adding dormers, which effectively steal space from the airspace above your roof. 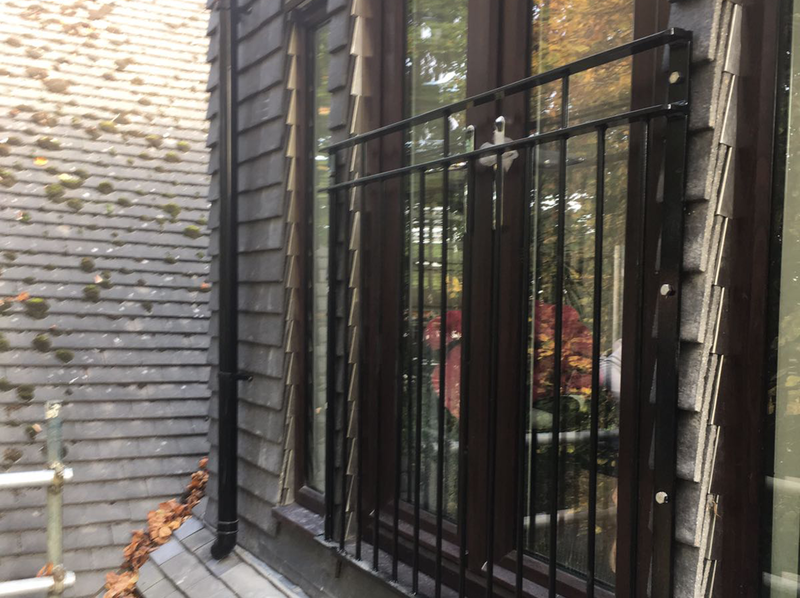 We offer a free feasibility study, which involves our consultant visiting your property and providing you with a free no obligation quotation. What About The Tanks In My Attic? If you have any tanks in your loft space your loft conversion will mean they will need to be removed. A lot of other builders may say we can relocate the tanks but the best solution is to remove them. If you have a combination boiler and there are tanks in your loft they may be obsolete. Tanks in your loft mean that a gravity system is being used to pressurise your hot water system. You have two main options to consider replacing the tank system. The easiest is to change the tanks to pressurised tanks. The other option is to consider a combination boiler, which uses incoming cold water pressure. We can look after your complete plumbing needs. What Type Of Loft Conversion? The type of loft conversion you will need depends on a number of factors such as your property type, your budget, and your requirements. The cheapest conversion is usually a roof light conversion, which can start from £25,000 – adding a dormer and an en-suite will add a further £20,000. If you have a small loft with a low ridge a dormer will be essential. If you have a high ridge, around three metres, the likelihood is that a dormer will not be required. The higher your property value, the more you should really, budget permitting, maximise your development to achieve the maximum valuation on your property. 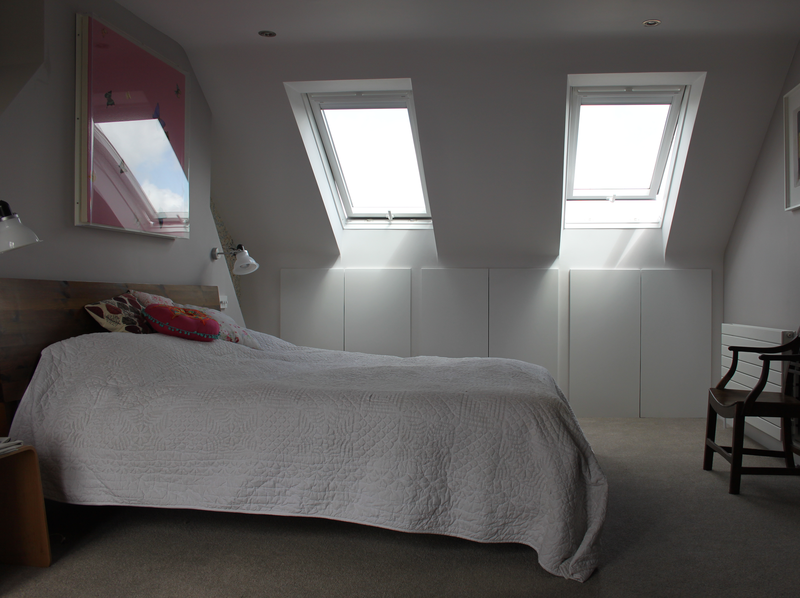 Most loft conversions are done to add a bedroom and an en-suite to the home. However some homeowners are far more adventurous. We converted one loft in West London to a recording studio. A complimentary bed provided for the sessions that went past closing time. Velux roof-lights and windows are replaced with sheets of insulated glass to maximise the light and views. Bold colours and wooden panels added design. Boring and bland can be forgotten if you want to be different. 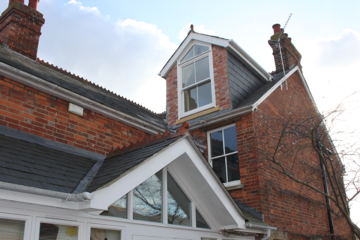 Dormers can be made interesting by using slate, brick, Juliette balconies and coloured aluminium windows instead of the usual white UPVC. 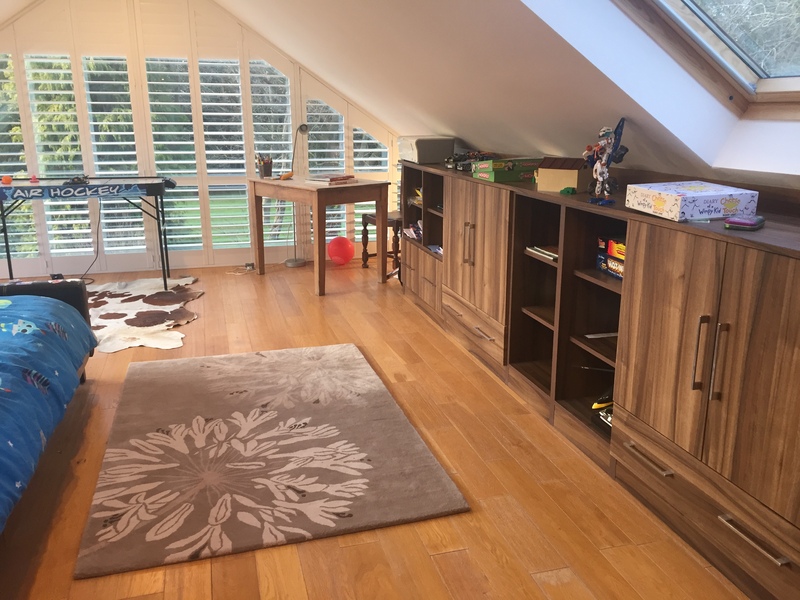 Gone are the days when a loft conversion was a space where to send the kids; nowadays the loft is a master suite with a separate dressing room. All the news you hear on low ridge heights for attic conversions make loft conversions impossible. 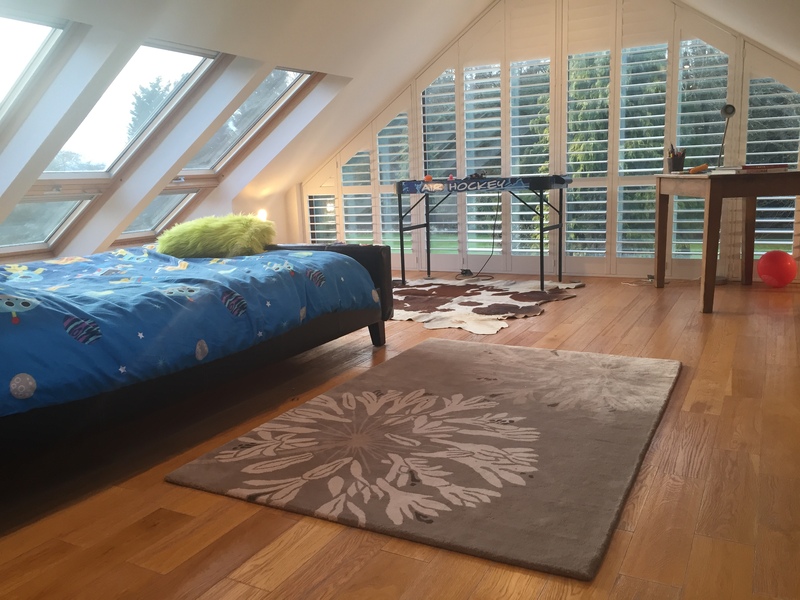 We have done loft conversions in various regions of London where we have started with a height of around two metres and we have still made a loft conversion without lowering the ceiling. Most of the talk is that a minimum height is required of 2.4m for a loft conversion to be possible. Touchstone Lofts are low ridge loft conversion specialists. We can convert your loft space even if other loft conversion specialists say the loft cannot be converted due to a low ridge height. If builders or loft conversion companies have turned you down, contact us today and we can provide you with a free no obligation feasibility study. Our consultant will visit and carry out a full survey and show you how we can help you. Drawings are required for the purpose of presenting your design scheme to the planning department and for us to build your loft conversion. 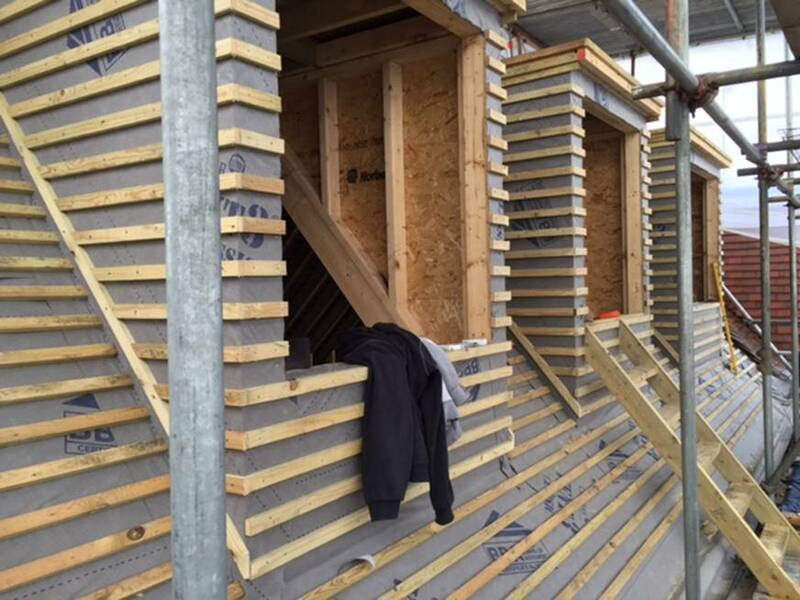 If your loft is a permitted development, a Certificate Of Lawful Development can be obtained from the planning department to confirm the legality of your project. If your attic conversion requires planning permission the drawings will be required too. Buildings regulations will be required and will confirm that the works are done to building regulation standards. Touchstone can do all the drawings, planning permission, structural calculations and building regulations. We are a one stop shop for all your loft conversion needs. The loft conversion works happen directly over your head and the roof is opened up so this is a common question that is fully understandable. Apart from if the ceiling is being lowered, all our customers continue to reside in the property. There are some inconveniences, which include the following. Noise whilst the floor construction takes place, a scaffold is erected and some materials may be in the garden, a skip on the drive. The scaffold directly to the roof ensures the entry of materials on the whole is via this route. There is a day of intervention into the home when the staircase is installed. This is all done in a day or two days at worst. Once the structure has been built and the plastering has been done, which is completed in a day or two at most, the only thing left is to install electrics, plumbing and fittings. We offer a FREE no-obligation quote for any loft conversion, full project management, and an industry leading 10 year structural guarantee. We have since recommended Touchstone Lofts to many of our friends and families – they have had the same experience too. All in all, we would like to thank Paul and his team for being everything they promised to be. All the staff you have used, have been very clean, tidy polite and efficient. Finally it was very useful to be able to talk to you whenever we needed to. All in all a good job and excellent value for money. We also have an in-house team of professional plumbers that work across London.